Rainy Day Bees makes honey from bees in Shoreline and North Seattle. They've had a booth at the Shoreline Farmers' Market since the second year, so you can always find them there. 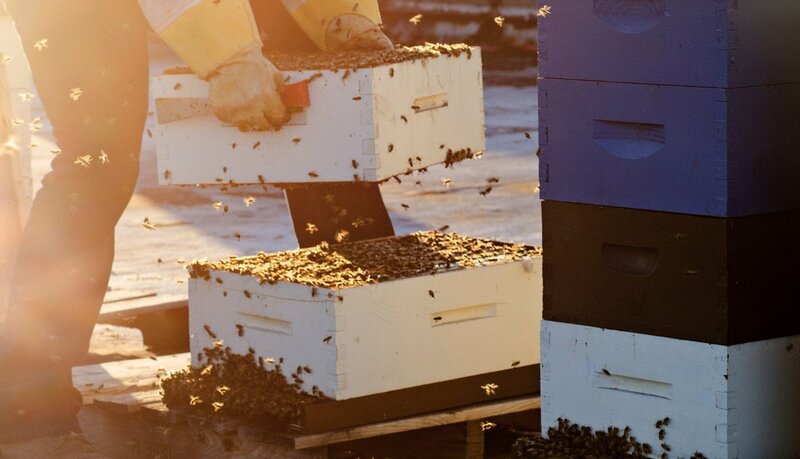 We tend beehives in backyards in North Seattle and Shoreline to bring you pure raw honey where you live. Bottled by neighborhood, you'll always know where your honey is from. They set up an additional booth with bee friendly activities and an a bee viewer. It's a huge hit with everyone, young and old! The Shoreline Farmers Market is open every Saturday from 10am to 3pm on the upper level of Shoreline Place next to Central Market, 155th and Westminster Way.